The use of municipal bond insurance has diminished substantially since the financial crisis. Low interest rates and tighter credit spreads have reduced the benefits of bond insurance for municipalities. 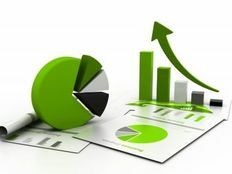 In this article, we examine why the use of bond insurance should grow as rising interest rates drive higher borrowing costs and concerns over rising credit risk make it difficult to make a sound investment decision. Bond insurance is used to guarantee the timely principal and interest payments of a bond issuer or obligor. The bond insurer charges a premium to the bond obligor to insure or “wrap” the bonds. Bond insurance is structured so that it benefits the bond investor, the bond obligor and the bond insurer. The bond investor benefits from the protection provided by bond insurance in the event of a default. If the bond obligor defaults, the bond insurer makes the interest or principal payment and the bond investor avoids taking losses. Assuming the bond insurer has a higher creditworthiness than the obligor, the obligor benefits from lower borrowing costs. Lastly, the bond insurer benefits when they profit from the premium charged to bond obligors who do not default. According to a report from Janney, the use of municipal bond insurance has plummeted from over 50% of total new issue volume prior to the financial crisis to around 6% as of September 2016. The last 7 years have been a highly unattractive market for the bond insurance business. Low interest rates have reduced the demand for bond insurance and lowered the returns bond insurers receive on their fixed-income investments. 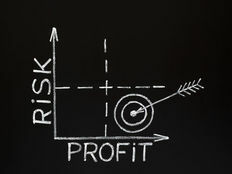 With the likelihood of rising borrowing costs thanks to the recent rounds of interest rate hikes, in addition to concerns over credit rating downgrades to states like Connecticut and Illinois, the demand for bond insurance should rise as both bond issuers and investors look for a better mechanism of credit protection. The financial crisis of 2008 devastated the bond insurance business due to risks taken by bond insurers in subprime mortgages. Since a bond insurer’s credit rating was essential to its business model, downgrades from the rating agencies made it impossible for most insurers to underwrite new business. A bond obligor simply was not ready to pay a premium to an insurer if it didn’t receive the benefit of a higher credit rating. Most insurers became insolvent or were in “runoff” mode, which means they only existed to make claim payments on outstanding bonds they insure and were not wrapping new bond issuance. The three municipal bond insurers that are actively underwriting today are Assured Guaranty, Build America Mutual (BAM) and National Public Finance Guarantee. BAM emerged several years after the financial crisis in 2012. BAM rapidly grew to 44% of the municipal bond insurance market for several reasons. As a post-crisis start-up, BAM was not exposed to some of the problematic municipalities such as Detroit, Stockton or Puerto Rico. Next, there was hardly any exposure to the subprime securities that dragged down the creditworthiness of other bond insurers. In addition, BAM’s focus on being extra cautious helped it select only essential public-purpose U.S. municipal bond issuers while ignoring risky propositions from other sub-sectors such as hospitals and non-public education. Assured Guaranty accounts for over 50% of new municipal bond insurance underwritten today. Assured survived the financial crisis through much lower exposure to the subprime securities that brought down its competitors. Limited exposure to subprime meant Assured held the highest credit rating among bond insurers following the financial crisis, allowing the company to capture more market share. Assured merged with FSA in 2009 and the combined company was the only active underwriter of bond insurance from 2009 to 2012. This merger improved Assured’s capitalization by more than doubling its claims-paying resources and also reducing its exposure to non-municipal risk. As the only active bond insurer until the arrival of BAM in 2012, Assured enjoyed a period of increased profitability as net operating income more than doubled from 2009 to 2010. By demonstrating that it can remain profitable in a low interest rate environment, Assured stands in a very comfortable position to benefit from the Fed’s rising interest rate policy. The Federal Reserve has begun to return to a normal interest rate policy by raising short-term interest rates three times within the past year. Higher interest rates increase the cost for a municipality to borrow to fund new projects. This means more money goes towards paying interest on debt and the credit risk of the borrower increases unless additional revenue is generated to offset the higher interest costs. 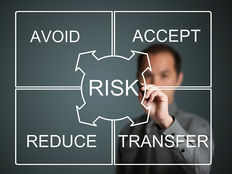 This causes credit spread, the additional yield the market charges the borrower for the risk of default, to increase or widen, causing the creditworthiness of some of the less resourceful bond issuers to fall. Municipal bond insurers stand to benefit from higher rates and wider credit spreads. Remember, for bond insurers to provide a benefit to the borrower, the insurer’s credit rating must be higher than the issuer’s. If the bond insurer is rated AA and the borrowing municipality is downgraded from A to BBB due to credit concerns, the benefit of insuring the bond increases since the BBB borrower would be able to borrow at AA rates. Likewise, the riskier the bonds the insurer wraps, the higher the premium they can charge. However, insurers have played it safe by insuring only investment-grade bonds. Of the top three insurers (Assured, BAM and National), only 4.2% of their combined insured par outstanding is rated below investment grade. Bond insurers also invest the majority of their investment portfolios in fixed-income securities. A rising interest rate environment creates an opportunity for insurers to reinvest their maturing bonds and investment income at a higher rate and thus increase their returns on assets. Going forward, municipal issuers may once again rely on bond insurance to receive the benefit of lower issuance costs. Let’s examine exactly how this works. As a hypothetical example, a municipality with an A rating might be able to borrow in the market for 10 years at 2.5%. By insuring the bond, the borrower gains the insurer rating of AA, which lowers their cost of borrowing to 2.1%, or a decrease of 40 basis points. But in order to receive that insurance wrap, the bond issuer has to pay the premium the insurance company charges, which equates to 20 basis points. In essence, by insuring the bond, the total cost of borrowing decreases from 2.5% to 2.3% when including the premium paid to the bond insurer. This is a simple example, but it shows how bond insurance can lower the borrowing costs to the issuer despite the premium paid to the insurer. Muni bond refundings also make an interesting case. This type of bond has made up a large portion of muni issuance over the past few years. Very low interest rates provide an opportunity for municipalities to refinance their debt by either calling bonds that are currently callable or through advance refunding bonds that will become callable in the future. As interest rates rise, municipalities may need the help of the insurance wrap to decrease the borrowing cost to make it possible to refinance at a lower rate. Municipal bond investors have historically enjoyed very low default rates, but with increasing debt levels and growing unfunded pension liabilities, that could change in the coming years. Municipal investors want to be able to sleep at night and not worry about whether their interest and principal payments will be made on time. By buying bonds with insurance wraps, muni investors are able to add a second layer of protection to their bond investments. However, it is important to note that security comes at the cost of lower yield. Problems in Puerto Rico, Illinois (including Chicago), Connecticut (including Hartford), Dallas and New Jersey have recently made headlines. As these types of headlines become more prevalent, bond investors should be more likely to accept a lower yield for the added protection bond insurance provides. In short, these catalysts should lead to the increased use of bond insurance going forward. The recent period of low interest rates, tight credit spreads and low default rates have restricted the need for insurance. With these factors set to reverse course, bond insurance should become more widely adopted by the municipal market again. The municipal bond insurance market is primed to grow as interest rates rise and credit spreads widen. Municipal bond insurers have improved their capitalization and returned to prudent risk-taking by focusing primarily on investment-grade municipalities and reducing exposure to non-municipal underwriting. Finally, muni insurers are unlikely to repeat missteps taken in the past, because a healthy bond insurance market is beneficial to all parties involved in municipal finance.